A few days before christmas we recieved a call from a grandmother in despair. While she and her little granddaughter were decorating their christmas tree together, building memories, the little one broke a small glass bird ornament. The poor dear cried uncontrollably while the grandmother silently wept because she knew this ornament was an original heirloom from her childhood. "Are these ornaments still made...?" We spoke for a long time about the manufacturing that has taken place in the Thuringian Forest in Germany. I was proud to tell her that all the original craftmanship and traditions were still employed at Scheler Ambiente Lauscha/Thuringia in Germany. Our company philosophy is based on using traditional methods to create handmade ornaments of the highest quality and artistic value. Even with the influence of modern fashion used to update the ornaments, these traditional values and philosophies have not be changed. 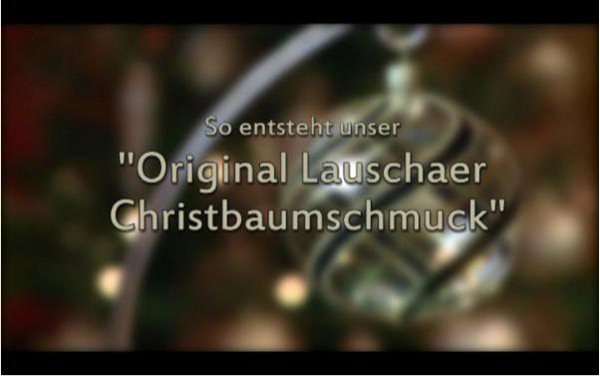 Lauscha is the birthplace of the christmas ornament and this proud history will always be preserved here by Scheler Ambiente Lauscha and our artisians.